Being a respected business in your community will increase your local search visibility. Google pays a lot of attention to a brand’s perceived trust and expertise. Even if you’re just starting out, aim for happy customers and consistent quality to attract traffic and mentions. Your website’s name should accurately represent your business or brand. It’ll be in every URL, so make it something appropriate and easily remembered. Don’t use a keyword phrase alone (e.g., www.FloristLosAngeles.com) to avoid an exact match domain (EMD) penalty. On the other hand, including a keyword as part of your domain (e.g., www.FirstStreetDental.com) can help you as a local business if it’s tied into your brand name. Search algorithms are getting better and better at weeding out low-quality results, so make sure your domain doesn’t look like spam. When it comes to web hosting, think about speed, availability, and maintained software. Choose a host that ensures your content is served up quickly, since page load speed is now a factor in Google’s algorithm. Beyond the hosting platform, there are many ways to speed up your web pages. Using Accelerated Mobile Pages and/or Progressive Web Apps may be worth considering, as well. Above all else, your CMS should be easy to use. Here, WordPress is king, consistently the top CMS used on the web. Consider how you can improve your system’s functionality with plugins — WordPress.org lists 1,864 plugins for “local” alone. And, don’t forget about a WordPress SEO plugin, too. We’re in a mobile-first world, with the majority of searches happening on smartphones and Google evaluating sites based on their mobile friendliness. Check your site to make sure it’s mobile friendly and optimized for mobile devices — otherwise, your rankings and visitor counts will suffer. Voice search is the next big area of compatibility. Use your business’s domain in your email address (@bruceclay.com) rather than @gmail or another generic provider. It’s a small point, but worth putting on the housekeeping checklist to increase your professionalism and perceived trustworthiness. Identify the keywords working for you in terms of hitting key performance indicators and bringing in revenue. Use keyword research to find additional phrases that can serve your personas/community, and examine your competition online for their keywords. Wherever you find a gap in your own content compared to the top-ranking sites, expand accordingly. To get a more in-depth look at your competition, you’ll need to perform a detailed review. Examine their performance in every area in this checklist, then outdo them. The goal is to be the least imperfect with your local SEO. Content that informs, educates or entertains readers improves your engagement. We recommend siloing your web content based on the themes your business is about. Set up your navigation and internal links carefully to create a hierarchical structure for the content on your site. Doing so will strengthen your site’s relevance and expertise around those topics. 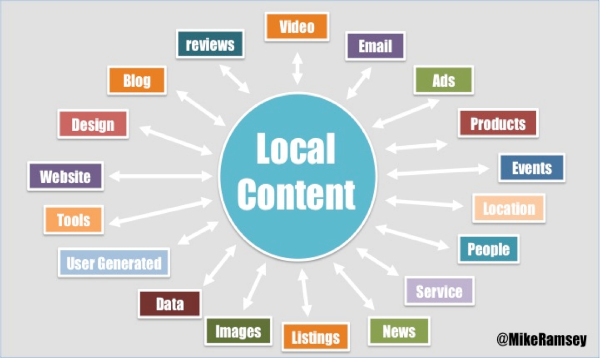 Many different types of content can be “localized” to pertain specifically to your community. The list includes images, news, events, blog posts, videos, ads, tools and more. Having a variety of types of content indexed also gives your site more opportunity to rank, since they can appear in the vertical search engines (e.g., Google Images, YouTube, etc.). To establish yourself as a local authority, tell local stories and express your opinion about the topics your business and your customers are focused on. Excellent content can become a strategy for attracting search traffic and also local expert links. When you create videos that are appropriate to your website and region, you’ll soon discover that people will share them more on a local level. Build landing pages for your videos on your site to attract links and mentions. You can do this by uploading a video to your YouTube channel first, then embedding it on your page (copy the HTML right from YouTube’s Share tab into your page’s code). Having content that’s locally focused can improve your reputation and reach in your area. This requires more than doing a find-and-replace on the city name to create hundreds of basically duplicate pages. You can start with templates, but make sure you’re including enough customized text, images and data to be locally relevant. Schema markup is code you can add to your website to help search engines understand your various types of information. According to Searchmetrics, pages with schema markup rank an average of four positions higher in search results. Google is planning to expand its use of schema, so be sure to take advantage of all the structured data that applies to your content. Check out Google’s Structured Data Testing Tool to confirm you’re implementing schema correctly. Search engines want to make sure local business information is valid before presenting it in the “Local Pack” (the handful of local listings Google displays at the top of a web search results page, with addresses and a map). A business’s proximity to the searcher heavily influences whether it shows up in Local Pack results, so your location matters. Keep your NAP+W data consistent across all sources. This is a local SEO priority, as it improves the search engines’ confidence in your business listing’s accuracy. Be sure to include your business address on your own website. You can do this in the footer so it appears on every page, or at least show it on your contact page. Embed a Google Map to add an interactive element to your site. To boost your brand’s credibility, you’ll need to get some local reviews or testimonials. Earn them (here’s a list of SEO-approved ways to get local reviews) and then add them, localized and with the author identified whenever possible. Testimonials, especially on a local level, can have a big impact. Seventy-three percent of consumers say that positive reviews make them trust a local business more. Be sure to mention local keywords on your web pages (such as the name of your city, state or region and other geographical/local references) to help solidify Google’s understanding of your location and help you rank for local keyword queries. Are people talking about your brand online? Even if they don’t include a link, brand mentions on social media platforms show engagement and interest in your business. These linkless mentions (and also “nofollow” links) help your business by attracting new customers and reinforcing your brand’s reputation, which can even influence local search rankings. Use a tool like GeoRanker to identify local citations and social media tools to keep tabs on the conversation. Boost your credibility by linking to local expert resources that would be useful to your site visitors. Choose external web pages that are relevant to your subject matter and region. Remember that in order to be viewed as a local expert, you should visibly network with other local experts. If someone is linking to your competition, they might link to you as well. Start by looking at the backlink profile of your top-ranked competitors (using a backlink analysis tool such as Majestic, Ahrefs or other). Identify good candidates — high-quality and relevant sites that don’t already link to yours. Then see if you can earn links from those same sites. To see if your NAP+W is consistent, try Yext’s free test. Having a Google My Business listing is critical for businesses with service areas and physical businesses. It’s a free business listing to start building your visibility in Google Maps and Google Search. Add a unique description about your business. Make it long (400+ words), formatted correctly, and include links to your website. Add your open business hours. Select the best categories for your business (use Blumenthal’s Google Places for Business Category Tool). Include a high-resolution profile cover image, plus as many additional photos as possible. Use a local phone number (not a toll-free number). Encourage reviews from your customers. Use Google Posts to enhance your brand’s Knowledge Panel with upcoming events or special news. Your post displays only temporarily (usually for seven days), but will remain visible to anyone looking up your brand using Google mobile search, so make each post unique. Secondly, create and optimize your business listing on Bing Places for Business. Your Google My Business listing and schema also help get your business to show up in Google Maps. Since navigation systems and customers may refer to Google Maps to find you, make sure the pin marks the correct location for your business. Here’s how to add or edit your site in Google Maps. Increase your visibility by including your business on sites such as Yelp, Thomson Local, Angie’s List, Yellow Pages, TripAdvisor, Urbanspoon, OpenTable, Merchant Circle and Foursquare, as well as local travel and news sites — choose the sites that fit your type of business and customer base. Boost your credibility by ensuring that your business is listed with the BBB. Monitor your ratings there and display your BBB rating on your website as a trust signal for visitors. As with all local directories, make sure your location information on BBB matches your NAP+W. Reviews will usually reflect absolute happiness or absolute misery. So it’s important to monitor the quantity and sentiment of your online reviews so you can actively manage your reputation. Review sites to monitor include: Facebook, Google, Yelp, Bing, local chamber websites and more. Sites where citations and mentions may occur include: Reddit, Quora, news media sites like WSJ, etc. Consider adding a page to your website with instructions on how to provide reviews and feedback. Press releases can be a great way to let locals know that you exist, especially if you have breaking news. Opening a new location? Hosting a charity event? Be sure to publicize it, and include the local geo references (city name, etc.) in your text. A press release published through an online PR site might catch the eye of a reporter who will publish a news article about your business in a local publication. Being active in social media and sharing your content (think content marketing) contribute to keeping your business top-of-mind. On social media sites like Facebook, Twitter, Instagram, YouTube, Google+ and Pinterest, your profile pages matter — make them consistent with your brand voice and informative. Be sure to include your contact information. Engagement with your brand is a social signal, such as when something you’ve posted is shared or liked. It’s also a way to engage with current and potential customers. Help customers stay in the know. Social media can be an efficient way to spread news, local deals, alerts and updates to your customer base as well as get the word out to others. Interact with them one-on-one, and you may develop a brand advocate for life. Make yourself known as a trustworthy business by building local expertise and authority in your space. For example, you could teach a class or speak at a local event. Brainstorm presentations that bring value to an audience while showcasing your expert knowledge related to your business. Attract local customers by offering discounts for locals. For example, you could offer members of a local organization $x or x% off your products or services, accept AAA discounts, or other. Stay on top of your conversions — actual results and dollars earned from your website — through analytics. (If you haven’t yet, set up Google Analytics for free.) Pay particular attention to rising or falling click-through rates and bounce rates, which will show you how many searchers clicked through to your site and whether they liked what they found. Enable mobile users to simply click to call your phone number wherever it appears, and track those interactions. Appointments and sales made online may also be important metrics for success. Remember, not counting progress is a failure. Be aware of your rankings in regular organic results and in the Local Pack. I suggest you choose at least five specific local keyword phrases to focus on at a time, but test more for rankings. Regularly check to see whether your business shows up on the first page of search results; compare your results to that of your competition. You can do this through manual viewing of “[keyword] near me”-type searches, if you’re in the local area. You can also use a tool like AuthorityLabs to track local rankings. While there’s a lot of work that goes into boosting your local search rankings, it will be well worth your time and effort as a local business. It may even mean your survival. The points on this local SEO checklist give you lots of ways to attract more customers with your online strategy. I want to hear from you. Would you add anything to this list? Share your local checklist to-dos in the comments below. Then share this article with a friend. Local SEO is extremely important for every local business that wants to stay in business. Thanks for the schema markup for NAP-W very helpful! What a list mike! One of the better SEO articles I’ve read in a long time, just because you break everything down easily to understand. Keep it up! The article is very lucid in terms of language. It describes the role of different search ranking factors to gather more traffic specially at local level. Waiting for next post. 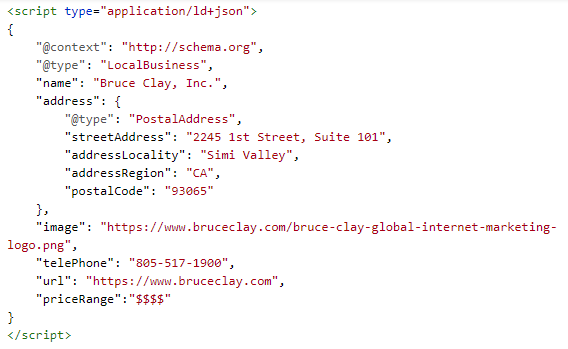 Thanks for the refresher Bruce, and especially the schema markup for NAP-W.
Local SEO is a field of its own! You have done a great work, awesome local SEO guide for all of us. Thanks for this guidance. This is a wonderful checklist to get started.. We will be utilizing this as we have taken over our digital marketing. Great detail here, thanks for the information, always good to review all aspects of our local marketing strategy. Thanks for this list. i am just getting started and I will definitely be following this closely! What an insane post :)) Bookmarked! 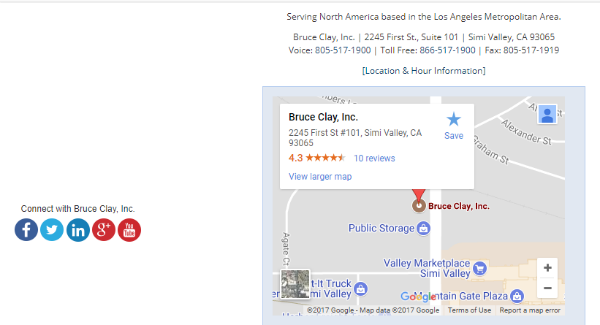 Los Angeles: We’re so glad you found Bruce’s list useful! Be sure to subscribe to the blog, if you haven’t already. We do this kind of thing a lot. ;) Thank you for your enthusiastic comment! Local Business Listing help to rank your website in local areas. This is a very comprehensive local SEO checklist. Thank you for sharing this with the SEO community! Scott: Thanks for reading & commenting. Be sure to subscribe if you want to receive new posts right away. Excellent post. Includes entire essential ranking factors. Thanks a lot for sharing this. Great info. Already seeing results. Doug: That’s excellent news! Keep climbing. Great SEO factors help to improve your website local search engine ranking. That is amazing Information. I think it is a basic guide for SEO. It is really useful and knowledgeable. Thanks foir share. This is quite a comprehensive list – will this be updated regularly? David: Yes, that’s an excellent idea with how quickly local SEO evolves. Thanks for sharing local seo ranking factors. These factors are very helpful. Thanks for providing the tips for local SEO!It is very helpful in SEO for 2018. That’s really a good information about the Local SEO Optimization. Once we will implement this strategy we will get the results that were needed! Generally, ranking for local SEO is fairly easy for most small businesses. You’ve pretty much hit all the major points on the head. Darren: Glad you found it useful! These tips can be very helpful for a local business, who want to grow their customer base and to get higher rankings in google. This is a fantastic resource for implementing local SEO and analyzing existing websites. Thank you for sharing with us. I was unaware of the proximity change in the Hawk update. Thanks Bruce for sharing Local SEO factors because sometimes we focus globally but forget to target local audience. So all above-mentioned tasks are useful for local ranking. Well written article. I really want to appreciate the time and effort you put in to write this post. Thanks for sharing such an awesome local SEO checklist with us. Keep up the good work. Google pays a lot of attention to a brand’s perceived trust and expertise. Even if you’re just starting out, aim for happy customers and consistent quality to attract traffic and mentions. Well written post, useful information for companies! You can try to game the search results all you want, but if your business is consistently getting bad reviews, you have other issues to worry about. Focus on fixing any core problems in your business so that your clients want to talk about you. SEO experts can’t help you much if there are underlying issues preventing your business from thriving. The awareness of local business optimization is constantly rising and your exhaustive article is a timely share for all the local business owners as well as many marketing experts to start 2018 with a crystal-clear optimization plan for surefire success. Thanks Bruce for your important article. Thank you for sharing great article also learn a lot from these tips.its really informative and helpful. Must read for all the local business owner. Very well written ! ! Wow! Brilliant content about local seo search ranking factors. This blog covered all the major factors to rank well. Thanks for the useful information. Solid list Bruce! I’m definitely a fan of using long-tail keywords for local SEO. A majority of customers that are ready to buy or use local services are typing in buyer intent keywords which is why long-tails are so important. The rest of the checklist will pretty pretty much get you ranking anywhere. Thanks for sharing its a very useful article. I have same question like consulenza. Is there any technique to pin a business on our city map? I already contract in google support for pin but stile I have to search. Any tip about that? Thanks Bruce for your important article. I said Important bcoz, I’m searching for the best seo ranked agency for my website. Thanks for sharing this content. What a list! I would have a question about item #30: is there any technique to pin our business on our city map? I mean… some business do not appear when we zoom in the map, you really have to search that business name to find it. Any tip about that? I began deal with my administration and item site and focusing on neighborhoods, this article is the best guide for me. I will endeavor to take a shot at every single term which you specified here. Awesome thank you and continue composing. I’ve been running a GMB listing for over a year now, but a description area i’ve never found. Could you explain me where i’d find it? Wouter: You can add a description of your business in your Google+ business listing, not in Google My Business now. Barry Schwartz wrote out the procedure when it changed in August 2016 (https://www.seroundtable.com/edit-introduction-field-in-google-22484.html). Go to aboutme.google.com, click in the top right and choose the desired Google profile. In the Story section, click the pencil icon to edit your business description. I hope this helps! On August 22, 2017, Google refined the proximity filter to make it stricter. It still appears to be filtering out businesses in the same building, but it is not filtering out as many businesses that are close by. 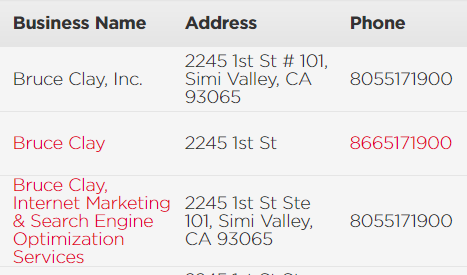 It still filter same category businesses at the same address and will do so for about a 200 radius. Previous to Hawk the filtering radius was about 500 feet. Thanks, Mike! That’s a useful nuance. We’re updating the Hawk Update section to better speak to the local business benefit here. Let us know what you think. I started work on my service and product website and targeting local areas only, this article is the best guide for me. I will try to work on each and every term which you mentioned here. Great thank you and keep writing. Local seo can be tricky to start off but it really pays off in the long run, assuming you’re doing everything correctly & testing the market.